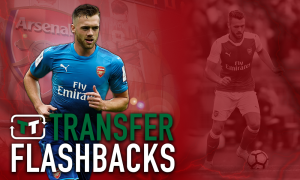 These 2 Arsenal youngsters could blossom if key man decides to leave the club - opinion | The Transfer Tavern | News, breakdown and analysis on all things football! Arsenal’s last few months have been all about buying new players, and that’s been just what the doctor ordered. They’ve struggled over the last few years, and a few new top quality faces were needed. Fortunately, they came, and Arsenal are expected to improve over the coming weeks. 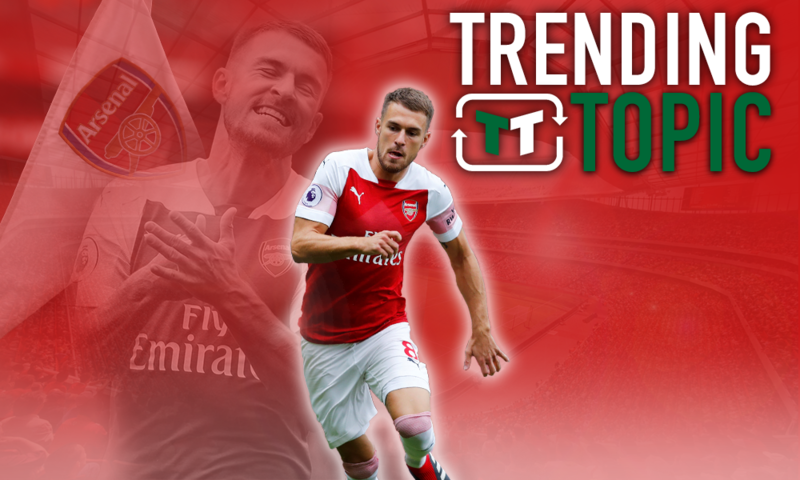 However, it appears as though the club could have an issue in the form of the future of Aaron Ramsey. According to the Evening Standard, he’s refusing to sign a new deal at Arsenal at the current price that is being offered, and he’s instead demanding an increased pay packet given the huge sum that Mesut Ozil takes home every week. Arsenal, it is said, aren’t willing to pay him that much, and so his future is beginning to look very uncertain. If they can’t come to an agreement, a departure on a free could be on the horizon next summer. Naturally, then, Arsenal need a contingency plan, but perhaps they don’t need to turn to another major signing. Indeed, the Arsenal academy is full to the brim with talent, many of whom would be able to turn over a new leaf in the absence of Aaron Ramsey. 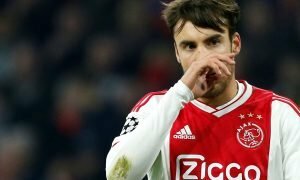 Indeed, if he were to leave the club, Emery could find the ideal replacement in the Arsenal youth programme. Joe Willock has already had a taste of competitive action for Arsenal, and he’s looked very good. More of a number 10 than a number 8, the teenager offers tremendous energy and technical ability through the midfield. With a fantastic range of passing and dribbling, he’s able to open up opposition defenders with ease. His lack of physical presence is a bit of an issue, as he could struggle to adjust to life in the Premier League immediately, but over time, there is no doubting that he has the credentials. In truth, he’s pretty reminiscent of Ramsey when he was younger, and he proved to be more than a little useful for the Gunners. Granted, he’s young and he’s raw, but in terms of natural ability and gifts, he’s up there with the best in the Arsenal academy. This could be the chance he needs. 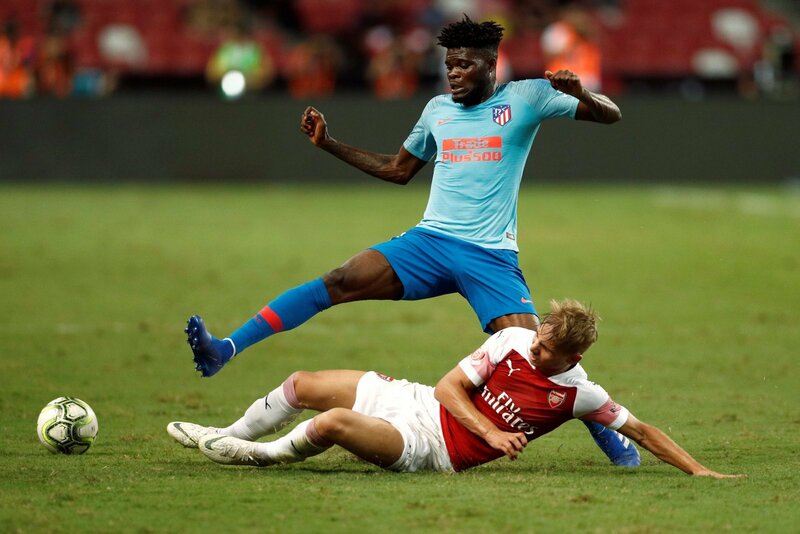 Emile Smith Row seems to be a popular man, at least in the eyes of Unai Emery, and with good reason. The young Englishman was taken on Arsenal’s pre-season tour, and he looked at home in a squad that was collectively desperate to impress the new manager. A central midfielder with attacking flair, Smith Rowe is one of the most talented players in the Arsenal academy. He’s very useful with the ball at his feet, and in comparison to Ramsey, he arguably has a better knack of finding his teammates with exciting passes and through balls. He’s also tremendously technically gifted by way of dribbling, and he’s able to move past players often like they aren’t even there. He’s a different player to Ramsey, but he knows where the net is, and with a bit of training, he’s got all the ability to take over from the Welshman.